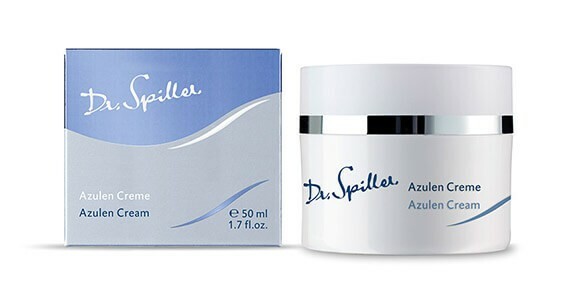 Azulen Cream is the perfect 24-hour skin care for irritated and inflamed skin. When faced with challenging situations, our skin can react with sudden redness. The active ingredient Azulene soothes the skin and provides welcome relief, while Grapeseed Oil optimally nourishes the skin and preserves its elasticity. It calms the skin with every single application. Apply Aloe Vera Gel to face, neck and décolleté morning and evening after cleansing. Follow with Azulen Cream.